Online ordering menu for Wok Star. 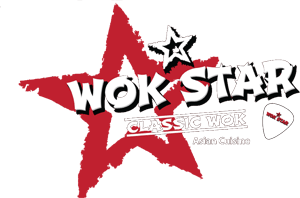 Wok Star Asian restaurant is a new concept in Asian dining... great cuisine mixed with classic rock music. Think of it as a Hard Rock Cafe with an Asian twist. Of course we serve the finest dishes you're already used to ordering... you just won't have to listen to the Chinese Musak version of Stairway to Heaven. We give you the real thing.